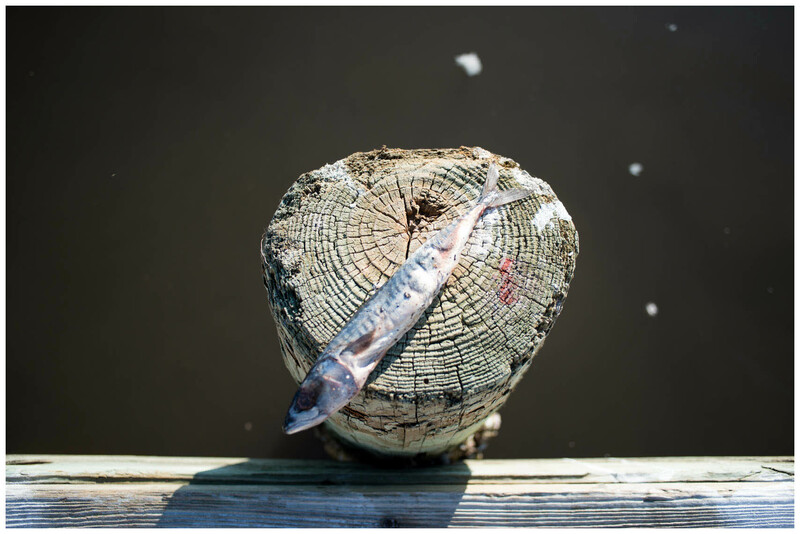 An emaciated fish at the marina in Leeville. Oil can be easily absorbed through a fish's fatty tissue. Absorption becomes enhanced through treating oil with the dispersant Corexit, thus making it up to 52 times more toxic.